PayPal CitiBank Offer – Get 25% Cashback upto Rs 500 on Paying via CitiBank Debit/Credit cards. PayPal has come up in association with Citibank and offering 25% Cashback upto a Maximum per Rs 500. Offer valid on Minimum amount of Rs 400. The Duration of this offer is valid from 5th December 2018 to 23:59 hours on 5th January 2019. So Hurry up and avail this offer now !! 2. Sign up for a New Paypal account or Login. Note:- Please Confirm this Offer with PayPal or Citibank, Little Confusion of Eligibility between PayPal Old users or PayPalNew users. 3. Do your Purchase on any PayPal merchant such as Komparify or any other of Rs 400 or above. 4. You will get the 25% Cashback upto a Maximum of Rs 500 in your CitiBank bank account within 90 Days. (hereinafter referred to “Customers”) are detailed herein below. of transaction. The timeline provided for effecting credit is only indicative of the expected period and may vary from actual date of credit. • No promo code is needed to avail the Offer. Mobile App across all domestic merchants. website and mobile app under this Offer. and may vary from actual date of credit. applicable on that order/transaction will not be granted. amount falls below the minimum transaction amount i.e. INR 400 ,cashback will not be granted. • Citi is not making any commitment to make any offer beyond the Offer Period. • All other terms and conditions of the Card member Terms and Conditions shall continue to apply. continues to reach Citibank before the payment due date. 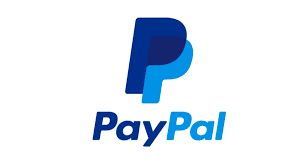 on PayPal.com shall be responsible for the products purchased by a Customer.